Visitors to Casablanca typically explore its famed Hassan II mosque and medina, but that could change following the announcement of plans to build Africa’s tallest skyscraper in the Moroccan city. Dubai-based developers Middle East Development’s 114-floor Al Noor Tower would measure 540 metres – the final height is meant to act as a tribute to the 54 countries that make up the African continent – and the mixed-use building would house a seven-star luxury hotel, art gallery, spa, fine-dining restaurants and luxury boutiques, alongside an exhibition centre and offices. 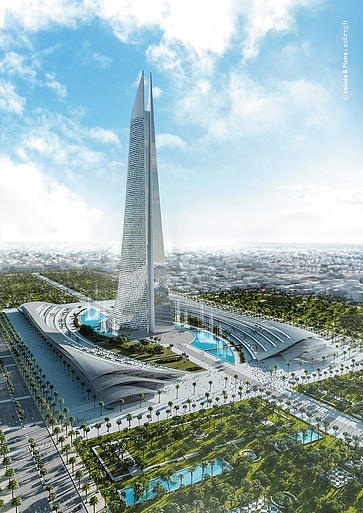 The architects behind the tower, Valode & Pistre, say its sweeping design has been inspired by the feel of a wedding dress and that its elongated form resembles the nib of a fountain pen when viewed from the side. 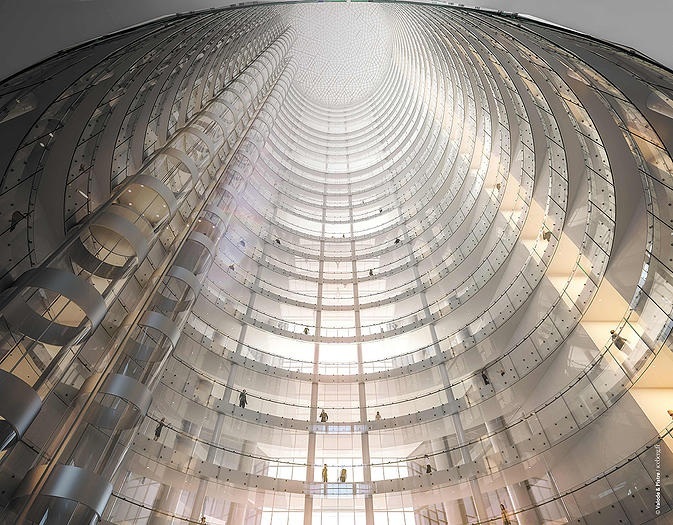 The building’s façade will be imprinted with references to the 1,000 languages and dialects spoken in Africa to ensure that “everyone in Africa will feel part of the tower”. Middle East Development is currently in talks with Moroccan authorities about building the tower on a 25-hectare waterfront site in Casablanca’s Anfa Financial City district and hopes to commence construction in June 2015. Currently Casablanca’s tallest building is the 115-metre-high Casablanca Twin Centre, while the minaret of the Hassan II mosque reaches 210 metres. 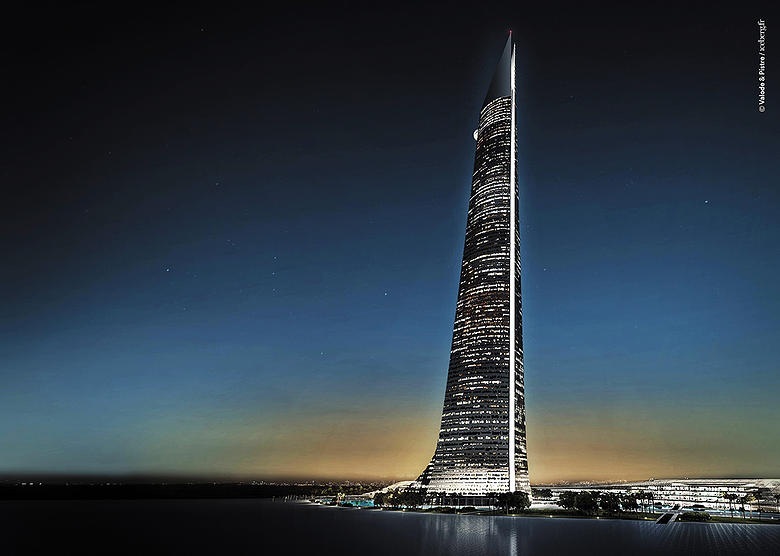 Africa’s current tallest building is the 223-metre-tall Carlton Centre in Johannesburg; for comparison, Western Europe’s tallest building, the Shard in London, measures 306 metres and the world’s tallest building, Dubai’s Burj Khalifa, measures 828 metres. 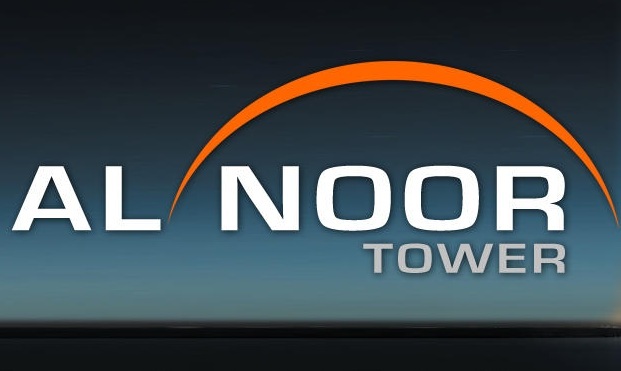 The unveiling of plans for the construction of the Al Noor Tower follows proposals to build one-kilometre-tall twin towers in Wuhan in China and comparably tall twin towers as part of new district being developed in Dubai. 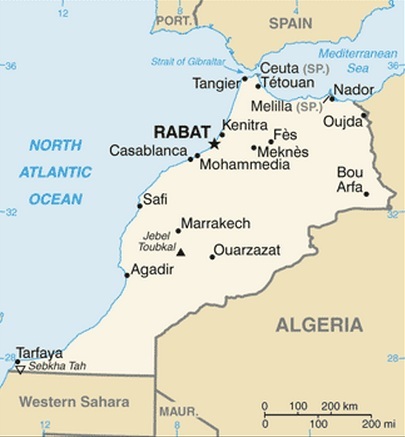 Casablanca is the largest city of Morocco. ← Obama’s College-Ratings Plan -How will it impact HBCUs?